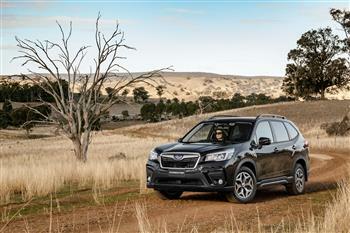 Subaru's new generation All-Wheel Drive Forester 2.5i-S has been named Best Small SUV for 2018 by Drive, which appears weekly in Fairfax print outlets and online at drive.com.au. Forester beat last year's winner, the Volkswagen Tiguan, plus the Skoda Karoq and Mitsubishi Eclipse Cross. Drive praised Forester for having "no hidden optional extras - the car is fully-stocked with nothing more to spend - even metallic paint is free." It added: "Subaru's Forester represents a techno-fest home to three display screens and more buttons than a discount table at Spotlight." Drive judge Nathan Ponchard assessed it as "the most pragmatic, utilitarian SUV here." Veteran road tester Pete McKay, highlighted "limo-like" rear room, while Editor Andrew MacLean was taken by the panoramic view served by upright windows framed by thin pillars. Drive added: "We're going to go out on a limb and say that the Forester is the safest car here." "…every Forester features the security of all wheel-drive as well as Subaru's highly-regarded EyeSight safety suite which includes autonomous emergency braking, active cruise control, blind spot monitoring, rear cross traffic alert systems and lane keeping assistance as standard. It's the only system here which recognises and acts on changes to brake lights on the car in front, making it both smoother and safer in the real world. High-grade models such as the Forester 2.5i-S tested here come with reverse automatic braking as standard, potentially preventing low-speed accidents involving children in driveways or carparks. "A facial recognition system can be programmed to adopt seat position, mirror and climate control preferences for different drivers, or more importantly, warn pilots if signs of drowsiness are detected. "It watches you, to see whether you're watching the road. If you fuss with your phone, turn to speak with passengers or drop your vision for too long, you'll get a friendly reminder to focus on the task at hand, or even take a break." Drive also praises Forester for "…peerless traction in slippery conditions, driving all four wheels all of the time…serving up confidence-inspiring drive…"
Editor MacLean praised Forester for having "standout" ride comfort in the group. Drive reports Forester received first-place votes from six of the seven judges. "As a pragmatic family SUV the Subaru ticks all the boxes, in terms of vision, comfort, space, safety and capability," MacLean said. Nathan Ponchard said: "It's the definition of what Subaru stands for as a brand. "The Forester does all of those things better than every other car in the line-up." 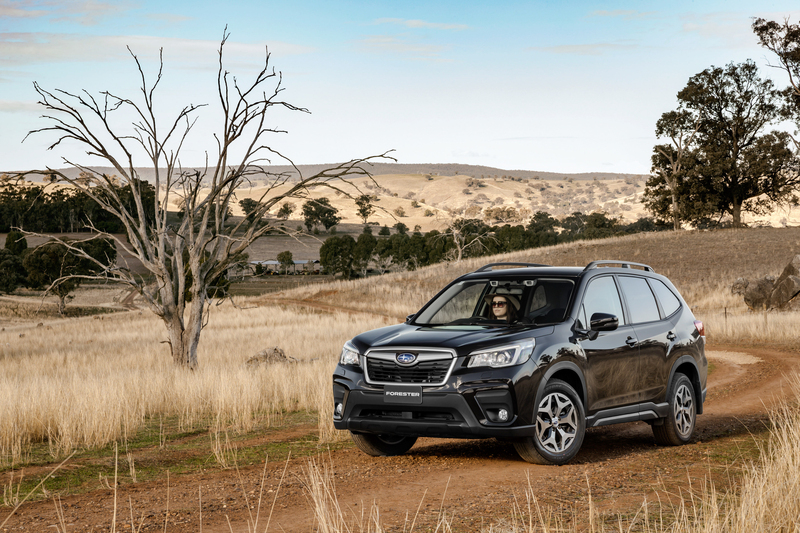 Subaru Australia Managing Director, Colin Christie, said: "The Drive award maintains Forester's status as one of the most awarded vehicles in the Australian automotive industry. "Drive's positive assessment of Forester is reflected in sales success since we launched the new generation in September. "Forester was Subaru's best-seller last year, with over 12,000 vehicles sold, taking us close to a quarter of a million Foresters sold since launch and clearly that established record of appeal to Australian consumers continues." MY19 Subaru Forester 2.5i AWD.